Are you ready to rock the block? 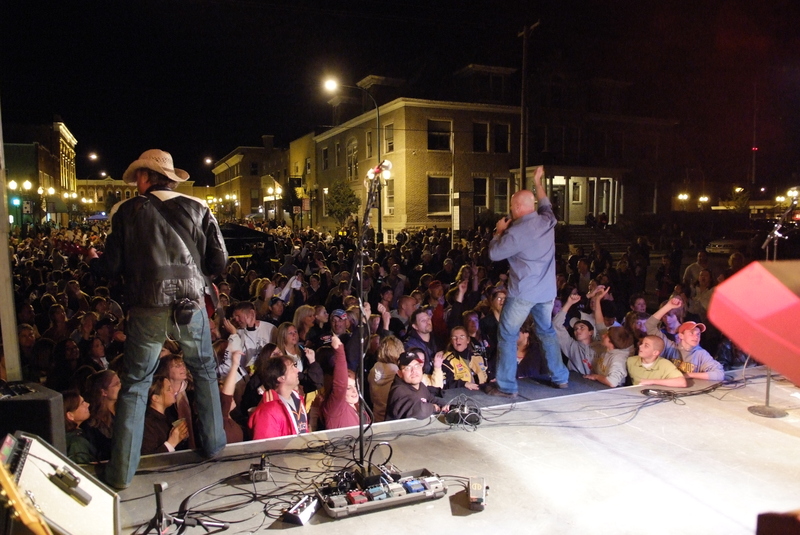 Get pumped for this year’s 11th Annual Discover Sycamore Block Party scheduled to take place Saturday, September 17th from 3-11pm in downtown Sycamore. This free day of fun provides entertainment for the entire family including a kids’ parade, kids’ games, huge inflatable attractions for kids and adults, a DJ, contests, prizes, food from local vendors, a beer garden, live music from Red Woody and more. 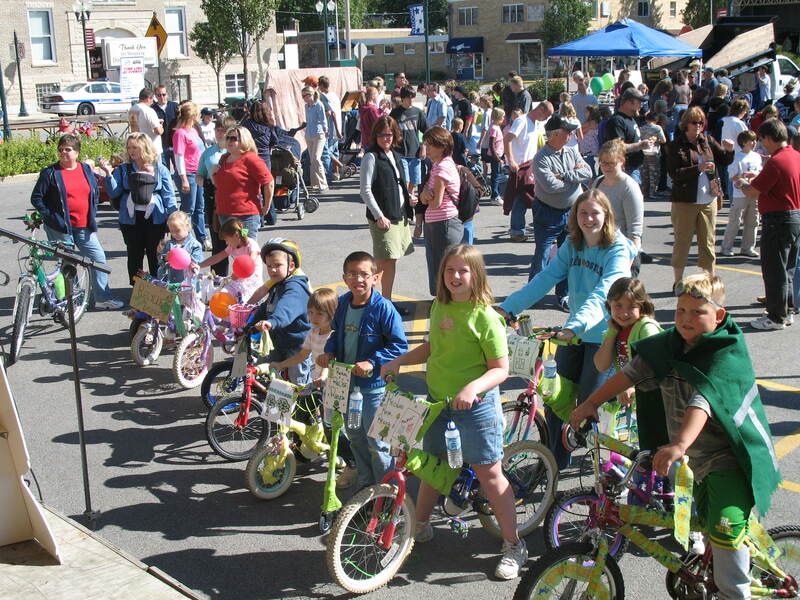 The event kicks off with an All Star Kids’ Parade presented by NB&T starting at the Midwest Museum of Natural History, through downtown Sycamore, ending at the Block Party in the parking lot on the corner of Somonauk and Elm Street. Be sure to sport your favorite team’s jersey. The best dressed athlete will win a prize! The fun continues from 3-6pm as parents, teens and young children can all enjoy some friendly competition in the All Star Game Area presented by NB&T. Challenge your friends to a race to the finish line in our Inflatable Obstacle Course. Participants race through several challenges and finish with a rock climb to the top and slide down to victory. Or team-up to compete for 1st place in our Bags Tournament. The entry fee is $20 per team before Friday, September 16th. A registration form can be downloaded at www.DiscoverSycamore.com, or picked up at the Sycamore Chamber of Commerce office. The entry fee for day of registration is $25 per team, and contestants must arrive and register before 3:30pm. Back by popular demand is Bark on the Block- Sycamore’s Top Dog Competition presented by Huckleberry’s Pet Parlor. Enter your gold-medal dog into the All Star K-9 Competition. There will be four different sports contests just for man’s best friend: baseball, football, soccer and track and field. Winners will be awarded fabulous prizes from Huckleberry’s Pet Parlor. Register your four-legged friends at huckleberryspetparlor.com or call (815)899-3435. “Bark on the Block was a huge success last year, and we’ve put a new twist on the competition this year. You won’t want to miss it,” said Discover Sycamore Director, Lauren Diehl. At 6pm the Block Party DJ will keep the party going as families enjoy the food vendors and beer garden. Then at 8:00pm get ready to get down with local favorite “Red Woody” as they rock the night away. 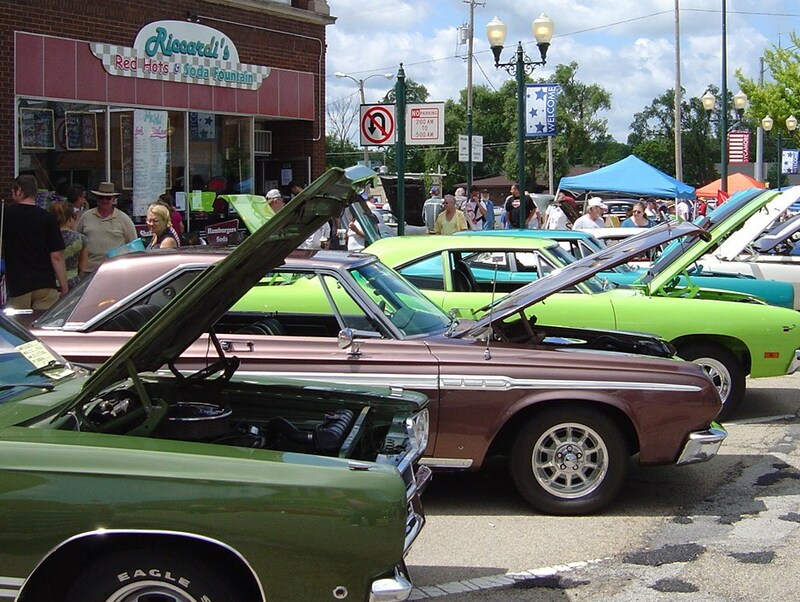 “Red Woody has an awesome following in this community, and we are lucky to have them back again this year,” said Diehl. Discover Sycamore’s Block Party is brought to you by Castle Bank, The National Bank and Trust Company, Taxco Restaurant, Courtview Dental, Daily Chronicle, Le Print Express, American National Bank of Dekalb County, Jumpy Jumpers, KishHealth System and Waste Management.